The all-new 2018 Honda Accord has been under lock and key for most of this year until Honda recently let everyone in on their secret: the completely reimagined Accord. The all-new model is slated for arrival at dealership lots on October 27, 2017 – just two weeks away. Here is a look at what’s new, and why everyone is so excited to see the brand new Accord. The 2018 Accord was completely redesigned for its tenth generation model. 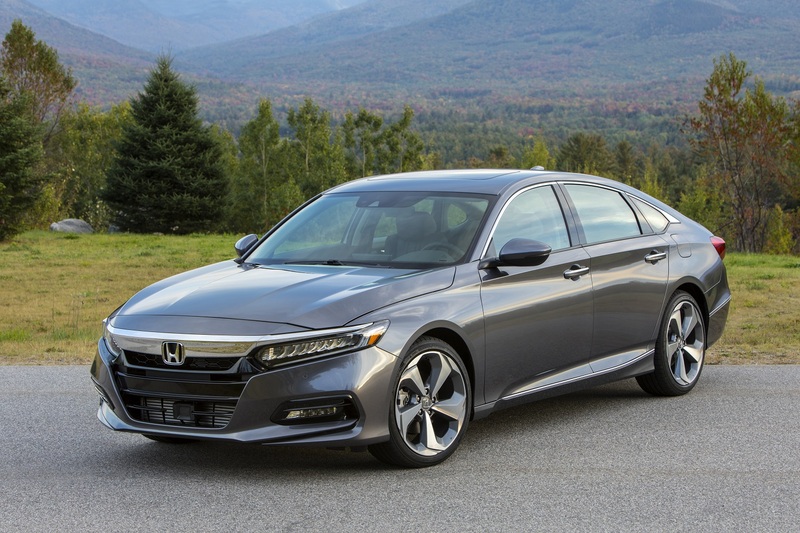 The new generation offers three advanced new powertrains, including the first time a turbocharged engine has been used in the Accord, a new 10-speed automatic transmission, and a third generation two-motor hybrid system. The new model also features a new dynamic and captivating design, with more elegant and modern exterior detailing. The Accord comes with a Manufacturer’s Suggested Retail Price (MSRP) starting at $26,490, with the most expensive trim being the Touring trim (2.0T). The 2018 Honda Accord Touring boasts an MSRP of $38,790. The new generation of the Accord brings a new level of performance. Under the hood is two new direct-injected VTEC Turbo 4-cylinder engines with dual VTC – including a 1.5-liter 16 valve inline-4 and a 2.0-litre 16 valve DOHC inline-4. Both of the new engines offer peak torque over a broad range of engine speed. This offers an incredible driving experience, giving smooth and lag-free power for incredible throttle response, and power delivery. The engine offers the perfect driving experience optimized for all driving conditions. The all-new 2018 Honda model also comes featuring a full safety suite with Honda Sensing’s safety and driver-assistive technologies. This is standard across all trims of the 2018 Accord.